Handcrafted from the real patent leather our deep metallic green and silver leather winner show rosette key ring is a great gift for all dog and horse lovers and can be used not only as a key chain, but also as a bag charm, collar tassel, small party favour gift or unusual prize for class winners at dog and horse shows. 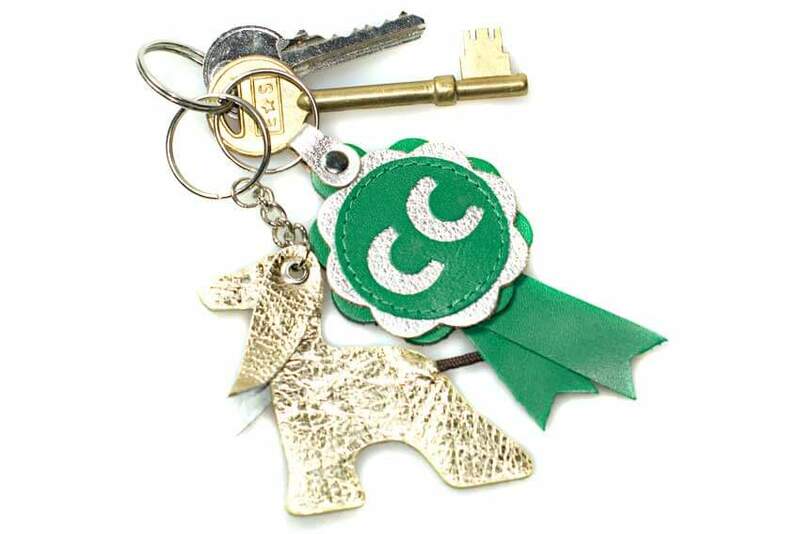 Carry it every day with your house keys, clip it to your handbag as a bag charm or attach to your dog's collar to show who is the best in your eyes! Exclusive design by Dog Moda handmade leather dog key chain / key ring rosettes are available in several colour combinations and designs. 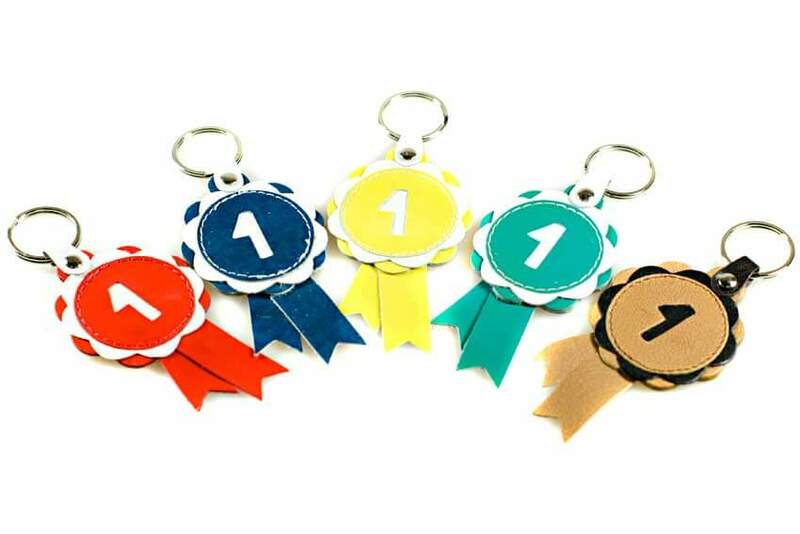 Dog Moda's leather show rosettes are a great alternative to show rosettes given by clubs to every class winner show rosette key rings. They can be customised with your personal message - please see our custom key rings for more information. Handcrafted from the green and silver leather with stainless steel split ring. 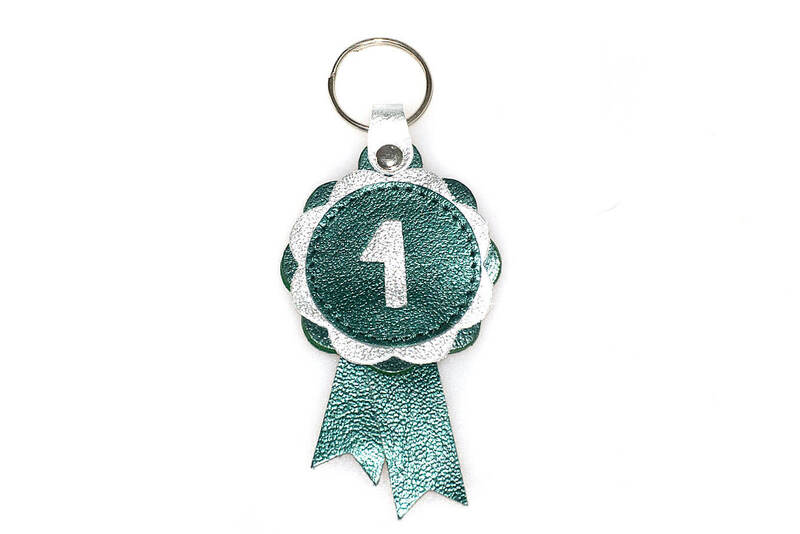 Show rosette key rings can be customised with your personal message. We are happy to discuss your requirements and ideas. 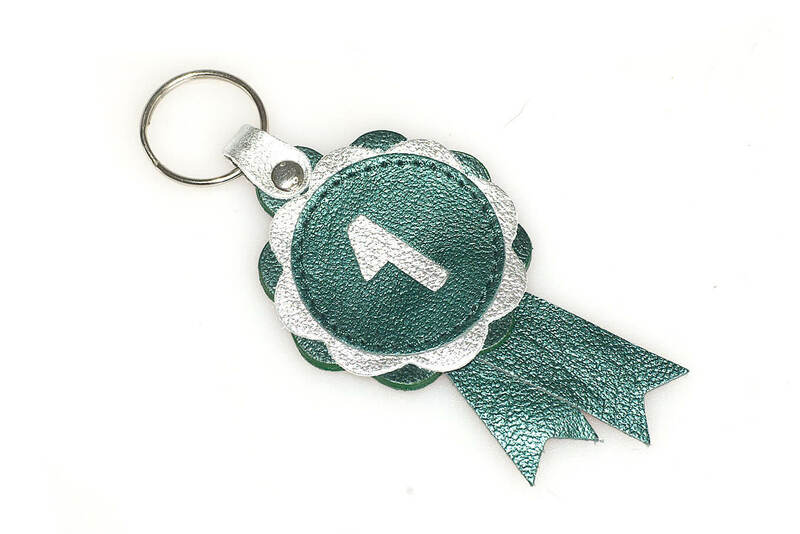 See our custom key rings for more information or get in touch on +44 (0) 20 3582 4532 or contact us.